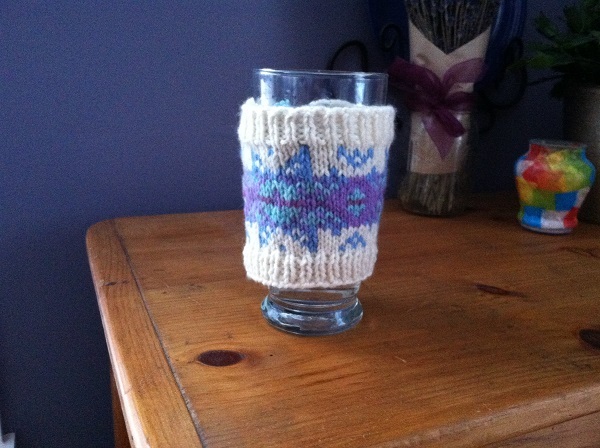 A pop-in post to give you a progress update on my knitting…. The top picture is the more accurate in terms of color: dark gray. I love how it is coming out. 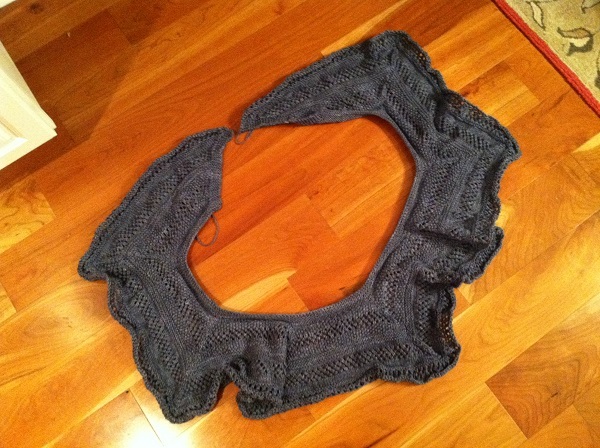 I have to get to 10 inches from the underarms to the bottom ribbing. Then knit the arms. Then knit the hood. Then knit the buttonbands. Five days to finish. Ha! Are you participating in the Ravellenic Winter Games? How is it going? I have not yet blocked it and will post a picture when I have. It will show the pattern much better…. 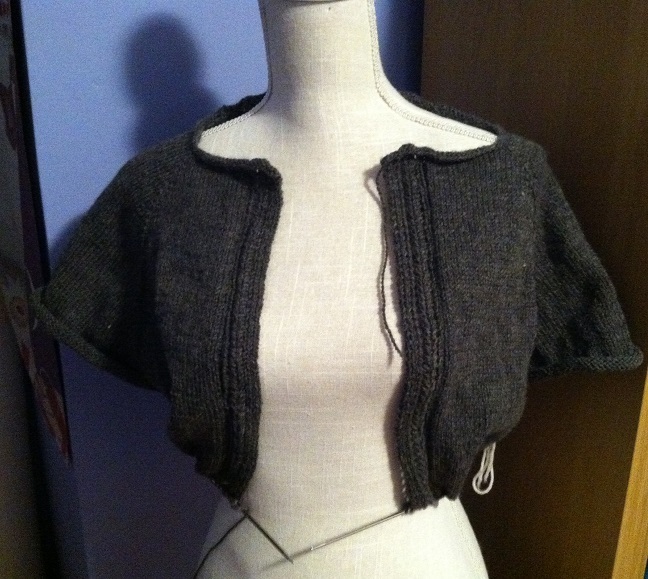 I’m going to do another post with details about how I cut this up and added a buttonband (not pictured!). That’s all you get for today. 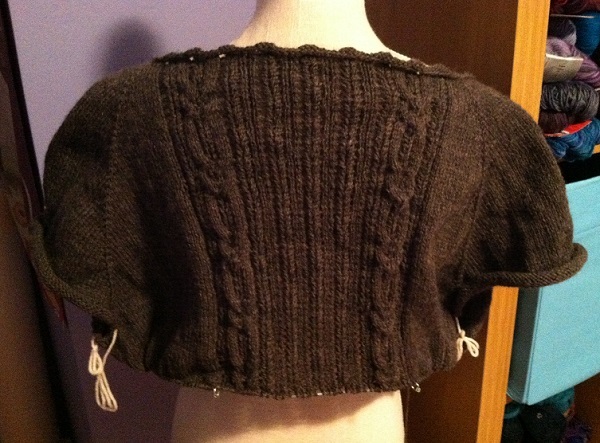 More during my next knitting break…. Posted in Uncategorized and tagged charleston tea, ravellenic winter games 2014, steek this coffee cozy on February 18, 2014 by lizytish. Love your sweater! The steeked cozy is very pretty. You’ve made lots of progress on your projects. So glad you’re knitting at a doable pace, Lizzy – much more enjoyable, yes?